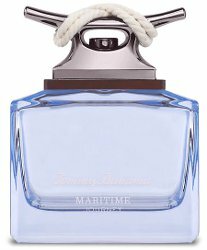 Tommy Bahama has launched Maritime Journey, a new flanker to 2016's Maritime fragrance for men. Sail into the brisk sea breeze with this fresh and clean fragrance. Be whisked away by the energizing blend of crisp apples married with springy notes of cilantro, which transitions to a calming mixture of florals and ends on a dry, yet grounded, woody and pepper base. Our island-inspired fragrance will rejuvenate your desire to explore. Additional notes include cardamom, lavender, violet, wild orchid, moss, clear wood and cedar. Tommy Bahama Maritime Journey is $80 for 125 ml Eau de Cologne, and can be found at Belk. I know I’m going to love this! Maritime Deep Blue is very good. I like the St. Kitts for women too. And the Deep Blue bottle was nicest of them all, I think. I wouldn’t have thought to try this but I love a cilantro note (thinking of Noa! ).